© Ashley Valetta . All rights reserved. 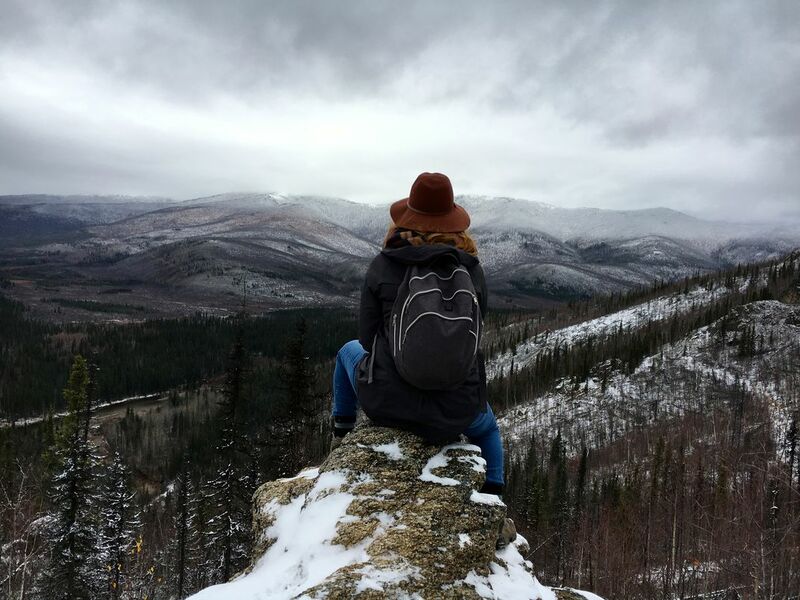 Looking out at the view while climbing Angel Rocks located in North Pole, Alaska. My sister had been in Alaska for almost five months before I met her at the beginning of October 2017. I have not had the opportunity to travel much and decided it was the perfect chance to see somewhere I have not been, I was nervous to travel alone but I went. I immediately feel in love with my surrounding. Everywhere around me, was a sight that I only dreamt about seeing. I am not an experience mountain hiker/climber but jump at any opportunity to be outside. So with the snow freshly on the ground, my sister and I adventured to a new place we both had never been, Angel Rocks. I wanted to turn back multiple times climbing up but still kept going. Finally inching to the top of the mountain we made it to point that is captured above. My sister knowing that I was scared said, "Do the scary thing first, and be scared later." So I inched my way bit by bit until we both made it to the top. I told her that I had, had enough but she should go out farther. She looked at me, told me she proud and walked out in front of me soaking in the beauty. Never in my life did I think that my sister and I would be looking out at one of the most beautiful sights I have ever seen. This photo is proof that being scared is not permanent and that we can do what we put our minds too. Date Uploaded: Nov. 13, 2017, 5:01 p.m.